Additional information about the Cessna painting! Original and rare advertising illustration painting for Cessna aircraft for their then new hot twin air ship the famous and popular 310-B. 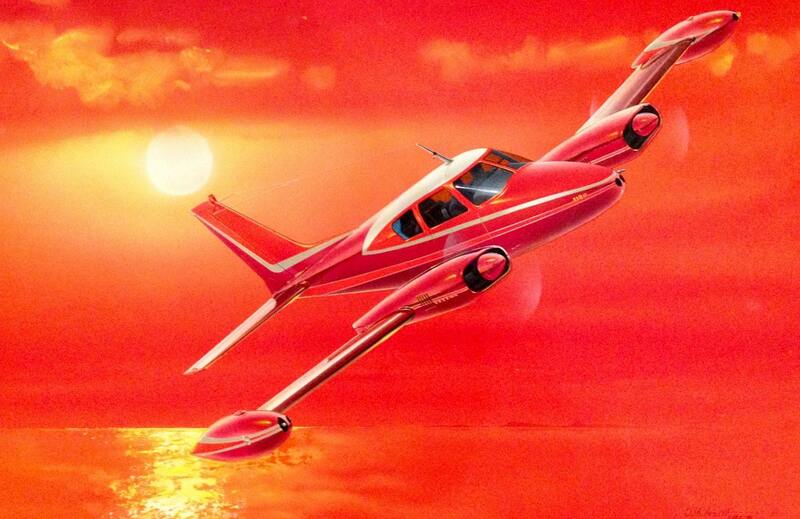 Painted in firey reds and orange sunset sky... this plane screams speed and adventure! Somehow this painting was preserved and survived, I bought it 14 years ago and stored it. 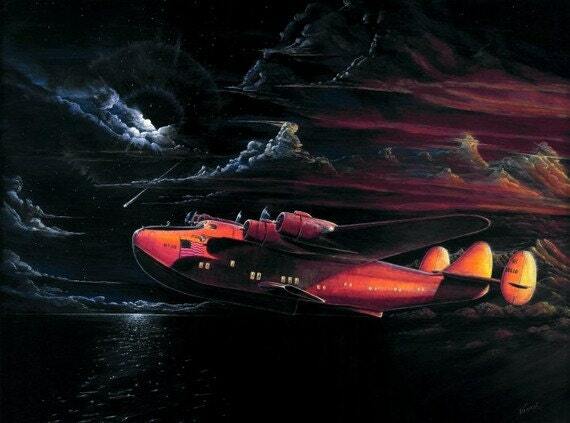 This is the first offering of this painting for vintage Cessna and aircraft lovers the world over!